In this Jan. 30, 2018, file photo, Cassie Langdon holds her MoviePass card outside AMC Indianapolis 17 theatre in Indianapolis. Ailing movie subscription service MoviePass will be spun off from its parent company, Helios and Matheson, the company announced Tuesday. The new entity, MoviePass Entertainment Holdings, will take over full ownership of the service and other film related assets currently held by Helios and Matheson. The new entity will be publicly traded, the company said. 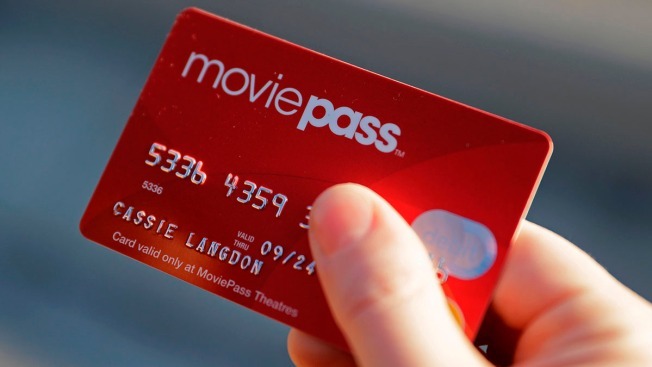 "Since we acquired control of MoviePass in December 2017, HMNY largely has become synonymous with MoviePass in the public's eye, leading us to believe that our shareholders and the market perception of HMNY might benefit from separating our movie-related assets from the rest of our company," CEO of Helios and Matheson Ted Farnsworth said in a statement. The company is also planning to distribute some outstanding shares of MoviePass Entertainment common stock as a dividend to Helios and Matheson shareholders. MoviePass has 'Homer Simpson at a buffet business model' that rarely works: Expert from CNBC. Shares of Helios and Matheson surged as high as 80 percent in premarket trading Tuesday, though the stock trades for pennies per share. In recent months, MoviePass has repeatedly adjusted its movie subscription plans and taken out hefty loans to cover massive losses. The company skyrocketed to popularity with an initial subscription that allowed moviegoers to see a film a day in theaters for $9.95 per month. But the popularity hurt profits, and MoviePass adjusted the plan. Last week, the New York Attorney General launched a probe into Helios and Matheson to determine whether the company misled the investment community regarding the company's financials, a person familiar with the investigation told CNBC. Here's the full release announcing the spin-off.